What information should appear on your business card? Quite apart from how attractive your business card is in a graphical sense, it must always be remembered that this small promotional item performs a huge task in terms of providing information about you and your business. Your name. You have the option of using your initials or your full name – go for the latter whenever possible. If it is important to establish credibility, include your professional credentials – provided they are relevant to the business you represent. Your title can help the recipient to quickly place you within a company hierarchy. Avoid an important-sounding title such as Managing Director when you’re a one-man show. If your physical address is important, it must be included. Rather leave off your postal address if space is restricted. Apart from telling people where they can find you, having a physical address from which you work makes you appear more credible and established. Your office telephone and fax number(s). If you need to be reached at almost any time or are very mobile, include your cellphone number. Your email address – essential these days. Try to get an address that’s businesslike rather than personal. An email address like sales@toptownplumbers.com is far better than petp@yahoo.com. When you have your own domain hosted it’s easy to setup one (or more) that’s linked to it. Your website address. If you have one, it must be included. Professional criteria such as registration or license numbers. Therapists or brokers need to reassure clients they are registered with the relevant authorities. A photo of yourself. Useful if you do not have regular contact with a client and want to remind them of who they dealt with. Photographs or sketches of your product if that will enhance communication on what is being sold. 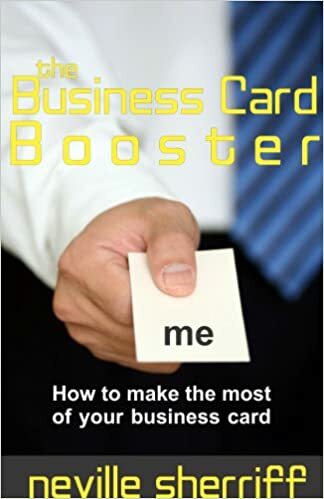 Placing additional information on your business cards depends on the space you have available, or whether you want to print on the rear of the card. Sometimes it is necessary to provide more information on a product or service range. A beauty therapist, for example, will use the rear of the card to list a client’s appointments.